During the Schmidt years, both the books and the photo project would become popular Google products. Google Books, launched in 2003, has come to encompass 20 million volumes, and it continues to grow. Google Street launched in 2007, and by 2014, made every thoroughfare in 50 countries viewable from almost every Web browser on the planet. Even in Google’s earliest days, Page had always wanted the company to do more than just basic Web search. Since he was a kid, he’d been dreaming up world-changing schemes. As an undergrad at the University of Michigan, he’d proposed that the school replace its bus system with something he called a PRT, or personal rapid transit system — essentially a driverless monorail with separate cars for every rider. Later, at Stanford, he’d peppered his adviser, Terry Winograd, with thesis ideas that sounded as far out there as some of Tesla’s later schemes. One idea involved building a superlong rope that would run from the Earth’s surface all the way into orbit, making it cheaper to put objects in space. Another proposal called for solar kites that would draw energy from space. With Google now essentially minting money from advertising and Schmidt managing its steady growth, Page began to realize that he was finally in a position to bring his visions to life. By 2005, one of Page’s visions was to put handheld computers with access to Google in the pocket of every person on the planet. So, that year, Page directed Google corporate development to buy a small startup with the same ludicrously huge ambition. This startup was Android. Its CEO and co-founder was Andy Rubin, a former Apple executive who had also developed a failed but once-popular Internet-connected phone called the Sidekick. The Android acquisition was a Larry Page production. Page didn’t tell Schmidt about the deal — which set the company back about $50 million — until after it was done. Brin knew all about it, but he didn’t take much interest. Page set up Android as a separate entity, one that was only nominally a part of Google, and allowed Rubin wide latitude to run it without interference from the parent company. Android even had its own building, one that regular Googlers couldn’t access with their employee badges. Schmidt essentially acted as if it didn’t exist, mostly because $50 million wasn’t enough of Google’s massive money pile for him to worry if it had been well spent. For his part, Page turned Android into a passion project. He spend huge amounts of time with Rubin, so much that he often felt guilty that he wasn’t looking after the rest of Google more closely. Then again, that’s what Schmidt was for. Over the next two years, Rubin developed what he thought would be a state-of-the-art mobile operating system. Then, during a 2007 trip to Las Vegas, Rubin flipped open his laptop in a cab to watch Steve Jobs introduce Apple’s version of an Internet-connected phone. This was the iPhone, and it was amazing. Holy crap, Rubin thought. We’re going to have to redo our phone. Rubin had his cab driver pull over so he could watch the rest of Jobs’ demo. A year or so later, in September 2008, T-Mobile launched the G1, the first phone using the software developed by Rubin’s team. The operating system looked and worked like an iPhone knock-off. But it was a good knock-off, and free for phone makers to install. The OS proliferated as manufacturers raced to keep up with Apple and carriers tried to remain competitive with AT&T, the only network to carry the iPhone. In the second quarter of 2009, Android-loaded phones captured 1.8% of all sales. During the same quarter in 2010, Android sales made up 17.2% of the market, topping Apple, which had 14%, for the first time. Soon, Android would become the world’s most popular operating system. By 2010, Page had now played a key role in creating two ubiquitous technologies that had arguably improved life for people around the world. Google, which had begun life as a thesis project, had helped make the Internet a vastly more powerful tool for everyday users. Then, without any adult supervision, Page fostered the development of Android. Now, Android was turning smartphones into such cheap commodities that it was only a matter of time until everyone on the planet owned a computer connected to the Internet. Achieving such a resounding second success — as a manager this time — gave Page enormous confidence in his own executive abilities. Page had enough self-awareness to realize that earlier in his career he’d been bad at delegating. He was glad to see he’d been able to do that with Rubin. While Android boomed and Page matured, Google’s core business built around search and advertising blossomed under Schmidt’s management. By 2010, Google had a $180 billion market capitalization and 24,000 employees. It was a big company. Another product manager told Miller he was considering leaving because working at Google meant working on products that got very little public exposure. Miller even quoted Schmidt saying he was worried about the situation. “There was a time when three people at Google could build a world-class product and deliver it, and it is gone,” Schmidt said in the story. Besides bureaucracy, Schmidt’s Google was also dealing with another big-company problem by 2010. It wasn’t the cool new mega-power in Silicon Valley anymore. Facebook was. By 2010, 142 of Facebook’s 1,700 employees were Google refugees. Among Google’s more senior executives, the company’s age was felt in another way. Schmidt had never fully reformed the argumentative, heated way that decisions were made at the top during the Page era. A decade on, repeated clashes had turned executives into bitter rivals who nearly refused to work with one another. In fall 2010, Page felt all these new weaknesses in Google. He also sensed another issue that he found even more worrying: Under Schmidt’s otherwise successful tenure, the company had dialed back its ambitions. In 2009, Google made $6.5 billion in profits and had 20,000 employees. Page looked at those numbers and thought, we have all this money, we have all these people; why aren’t we doing more stuff? He couldn’t help but think about how the only really big thing Google had done lately was Android, which Schmidt hadn’t been interested in. Page, happily married and more or less out of the public eye, was enjoying his life as the visionary behind-the-scenes leader of Google. But he had begun to wonder if Schmidt was the right person to lead the company into the future. Then he got up and left the room. The interview was over. Page recognized that Google’s search-advertising business, with its insane profit margins and sustained growth, was exactly the kind of cash-generating machine that his hero Nikola Tesla would have used to fund his wildest dreams. Now, he had the chance to do things differently. Seeing Google work on anything short of insanely ambitious was driving him a little nuts. The frustration was audible in Page’s voice when he gave that commencement speech at the University of Michigan in 2009. He told the graduates about how he and his wife had gone to India a couple of years before. They visited a poor village where sewage ran in the streets. The sewage, Page said, was infected with polio — the same disease that killed his father. Page didn’t shout. He didn’t have to. The message was loud and clear. That December, Page, Brin, and Schmidt met to discuss the obvious. 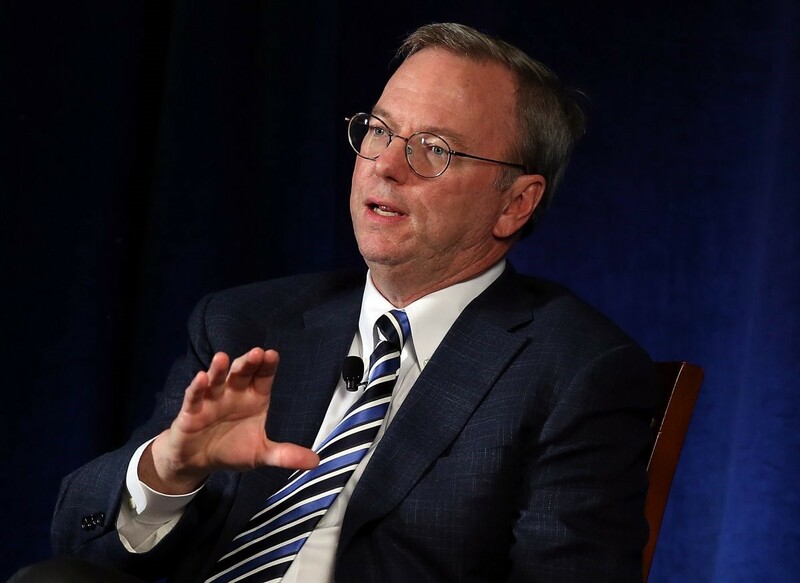 During Google’s earnings call on Jan. 20, 2011, Schmidt announced he was done as CEO. The job was once again Larry Page’s. Page took on the CEO job with fast-moving determination. First, he re-organized the company’s senior management. He took a handful of the company’s most important product divisions, including YouTube, Ads, and Search, and put a CEO-like manager at the top of each. Page wanted to repeat the success he’d had with Rubin at Android. Then, Page and Google finally responded to the threat of Facebook with its own social network, Google+. By the end of that first summer, Google had redesigned all of its products with a single, coherent look. In 2012, Page spent $12.5 billion to buy Motorola, mostly to acquire patents to protect Android from lawsuits by Apple and others. 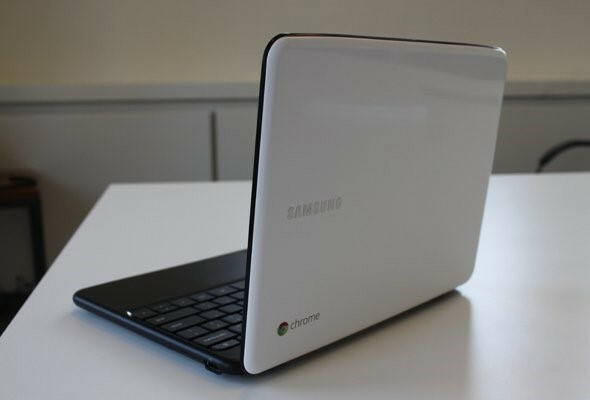 Google got into hardware, unveiling the Chromebook, a laptop run on a Google operating system, and a futuristic Web-enabled computer that users could wear like eyeglasses called Google Glass. At the end of 2012, Google began installing fiber-optic Internet cables in Kansas City, providing anyone in town with a free Internet connection 100 times faster than broadband. These moves surprised the wider world but not those who knew Page. Ever since he was a kid, he’d been a guy with big, improbable dreams who did everything he could to make them reality as quickly as he could. It wasn’t until later, however, that it became clear to those who worked closest with Page how much he had changed during his years away from the thick of the action. In February 2013, Google's senior executives flew in from around the world to meet at the Carneros Inn, a rustic resort in the hilly vineyards of Napa Valley. This was Google's annual two-day, top-secret retreat for senior executives. Among the attendees were Susan Wojkicki, responsible for Google's massive advertising business; Andy Rubin, head of Android; Salar Kamangar, the CEO of YouTube; Sundar Pichai, leader of Google's Chrome division; and Vic Gundotra, the Google+ boss. Each brought his or her senior staff members. 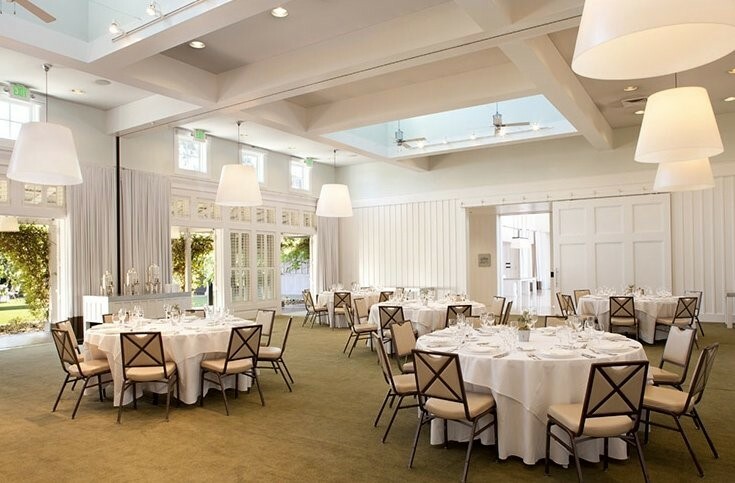 On the first day of the retreat, everyone gathered in the Carneros Inn’s white-curtained Napa Ballroom for a speech from Page. In his raspy voice, Page told the room that Google's ambitions were incredibly high, but that it would never reach its goals if the people in that room did not stop fighting with one another. From now on, Google would have “zero tolerance for fighting.” Page admitted that the organization, in its younger days, had demanded its leaders be aggressive with one another. He himself had been perhaps the most aggressive of all. But that was when Google's problems were linear problems — for instance, the need to grow the market share of all its products from nil to competitive to winning. Now, with Google leading the world in most of the product categories it competed in, the company faced what Page called n-squared problems. Google needed to grow by “10X.” It needed to create whole new markets, to solve problems in as yet unimagined ways. To solve n-squared problems, Google executives would have to learn to work together. The speech surprised the Google executives, particularly the company veterans. Since the days of Page and Brin calling every idea they didn’t like “stupid” — if not “evil” — fighting was the way things got done at Google. Some of them remembered that day in July 2001 when Page had insulted and fired a handful of project managers in front of all their peers. But when the people in the Carneros Inn ballroom looked at Page that day, they saw someone who looked very different from the kid who built Google’s first server rack in his dorm room. Page’s hair had turned gray. He'd put on a middle-aged man’s weight around the waist and in his face. As a result of a vocal-cord paralysis, his voice had grown gravelly and worn. 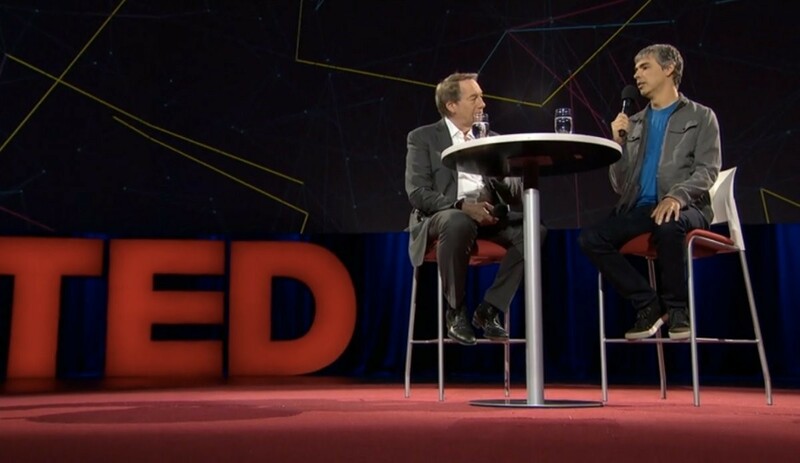 On March 19, 2014, Larry Page gave an interview at a TED conference in Vancouver, Canada. During the keynote, Page and his interviewer, Charlie Rose, sat in tall chairs on a stage with a table between them. The interview was essentially scripted. Page, his chief PR executive Rachel Whetstone, and Google’s CMO Lorraine Twohill, had spent the day before in a Vancouver hotel room working on the presentation. Now, Page and Rose were looking away from the audience at a giant screen above and behind the stage. On the screen, there was a video-game boxing match. One boxer had the other trapped in a corner and was mercilessly wailing on his opponent. The winning boxer was being controlled by an artificially intelligent computer program created at Google. This, Page explained to Rose, was the future of Google. Page pointed out that all the Google artificial intelligence could “see” were the same pixels on the screen that a human player could see. It had learned to play the game all by itself. Look how well it’s doing, Page said. Imagine if that kind of intelligence were thrown at your schedule. Rose, enthusiastic but a little confused, chuckled. Likewise, the audience had no idea what Page was getting at. The rehearsals hadn’t worked. And neither Whetstone nor Twohill were to blame. In terms of his ability to relate to other humans, Larry Page has come a long way since that one awkward day in July 2001. But he’s still bad at public speaking. All the content is there, but it’s buried in a jumble of half-finished sentences and digressive run-ons. Steve Jobs, Larry Page is not. He’s not even Mark Zuckerberg. As a result, the public is essentially unaware of what, exactly, Google and Larry Page are up to these days. As Page enters his fourth year in charge of Google again, the company is in fantastic shape. The stock price is above $700 per share, and it’s not hard to imagine a day when Google revenues will cross $100 billion per year. And yet, Page believes the company faces an existential question: Can Google come up with another great business after search? Between Google search and Android, Larry Page and Google can take credit for creating two technology platforms used worldwide by billions of people. But Google gives Android away for free. Android’s contribution to Google’s bottom line is that it puts Google search and Google search ads into the pockets of millions of people around the world. In that sense, it’s not a great new business for Google at all, it’s merely an extension of Google’s primary business. Google still makes 90% of its revenues from advertising; 70% of Google’s total revenues still come from search ads. One danger to Google is that eventually — not this year, not this decade, but inevitably — it will be so huge that it will capture nearly all the money any businesses on the planet spends on marketing. As crazy as this sounds, it’s plausible. Google revenues are already bigger than all the money marketers spend on magazine and newspaper ads combined. It already owns all but the tiniest sliver of the online ad market. Google search is running out of room to grow. For Page, this means he now spends much of his time asking himself what that future is going to be and how Google creates it. He’s got lots of ideas, and now that he’s in charge he’s got his engineers hacking away at plenty of them. He never gave up on the transportation system he pitched to the University of Michigan, so now he has Google engineers working on self-driving cars. Then there’s artificial intelligence. Besides dominating video games, Google’s AI was also able to watch all of YouTube, learn from the experience, and draw a picture of a cat. There’s a Google subsidiary called Calico that’s working on solutions to the problems of aging and death. Google has another subsidiary, Google Fiber Inc., connecting homes in Kansas City; Austin, Texas; and Provo, Utah with Internet that’s 100 times faster than broadband. Google Fiber may soon expand to nine other cities, including Phoenix, Arizona; Charlotte, North Carolina; and Portland, Oregon. In 2013, Page moved Andy Rubin from the top of Android and asked him to start working on robots. Page envisioned a world in which robots could do things like take care of the elderly and load our self-driving cars with groceries and household supplies while we’re busy at work. At the end of 2013, Google bought a company called Boston Dynamics, which makes humanoid and animal-like robots — some of them for the military. Also in 2013, Page met former Apple executive Tony Fadell — the guy who designed the iPod — and persuaded him to sell his new company, Nest, to Google for $3.2 billion. Nest makes thermostats that are connected to the Internet. Just this month, Google purchased Titan Aerospace, a company that produces drones. At Google, they call the biggest ideas moonshots. There are many more of them, from hot-air balloons that broadcast the Internet spectrum — providing access to areas of the world that have lacked it — to plans to produce Android-powered watches. Page admits that the diversity and number of ideas leave some of the company’s investors anxious. They worry: Can Google keep its focus? Or is it about to follow in the footsteps of so many technology giants before it, spreading itself too thin, chasing too many wild ideas? And really, who needs a computer that can beat a human at a video game? Page’s answer to those concerns is twofold. First, he believes that it will be easier for Google to work on moonshots than on more mundane products. His logic: There’s less competition. Also, the best people will work for Google because the best people like working on ambitious projects. Secondly, Page argues that all of these schemes are part of providing the world better search. So while it may seem random for Google to get into businesses as diverse as cars, thermostats, robotics, and TV production, there is an overriding objective behind it all: Page is envisioning a world where everything we touch is connected with and understood by an artificially intelligent computer that can discern patterns from our activity and learn to anticipate our needs before we even know we have them. Someday, Page has said several times, this AI will be hooked directly to our brains — perhaps through an implant. He is, at heart, a passionate utopian — one who believes that technology has overwhelmingly made life better for humans and will only continue to do so. In 2014, Page is living an alternate ending to the Nikola Tesla biography that made him cry when he was 12 years old. Instead of ending his life destitute and ignored, Page, still just 41, will spend the final half of his life pouring billions of dollars and countless hours into his wildest visions. This story is indebted to the work of two authors of books on the history of Google: Steven Levy and Douglas Edwards. Levy’s book, “In The Plex: How Google Thinks, Works, And Shapes Our Lives,” is a crucial and deeply reported must-read for anyone who wants to dive deeper into the workings of Google than this story goes. Few early Googlers are responsible for the way you think about the company as Douglas Edwards, who for years wrote all the words that ever appeared onGoogle.com. After his time at the company was done, Edwards wrote a fascinating book about his experience called “I’m Feeling Lucky: The Confessions of Google Employee Number 59.” It's a must-read for anyone curious about what it’s like to join a tiny, weird startup and ride it to the top. This story is also based on conversations with a few dozen current and former Google employees, people from Larry Page’s past, and others with firsthand knowledge of the events described. Batelle, John. “The Birth Of Google.” Wired. August 2005. Bohn, Dieter and Hamburger, Ellis. “Redesigning Google: how Larry Page engineered a beautiful revolution” The Verge. Jan. 24, 2013. Bouman, Amber and Snell, Jason. “Hello, Larry! Google's Page on negativity, laws, and competitors.” TechHive. May 15, 2013. Edwards, Douglas. “I'm Feeling Lucky: The Confessions of Google Employee Number 59.” Houghton Mifflin Harcourt. July 12, 2011. Helft, Miguel. “Fortune Exclusive: Larry Page on Google.” Fortune. Dec. 11, 2012. Levy, Steven. “Google’s Larry Page on Why Moon Shots Matter.” Wired. Jan. 17, 2013. Levy, Steven. In The Plex: How Google Thinks, Works, And Shapes Our Lives. Simon & Schuster. April 12, 2011. Levy, Steven. “Larry Page Wants To Return Google To Its Startup Roots.” Wired. March 18, 2011. Malseed, Mark. “The Story of Sergey Brin.” Moment. Feb. 2007. Miller, Claire Cain. “Google Grows, and Works to Retain Nimble Minds.” New York Times. Nov. 28, 2010. Page, Larry. “Beyond Today: Zeitgeist 2012,” YouTube. May 22, 2012. Page, Larry. 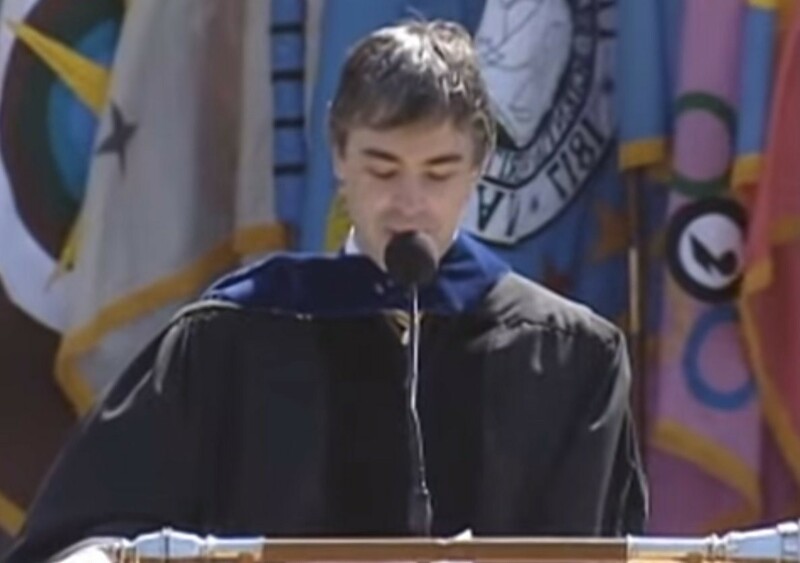 “Larry Page’s University of Michigan Commencement Address.” Google. May 2, 2009. Page, Larry. “Larry Page & Q&A with Eric Schmidt at Zeitgeist Americas 2011.” YouTube. Sept. 27, 2011. Rose, Charlie. “Guests: Larry Page, Wael Ghonim, Sebastian Thrun, Eric Schmidt.” PBS. May 21, 2012. Roush, Chris. “NYTimes tech reporter Miller joining Upshot.” Talking Biz News. March 14, 2014. Usborne, David. 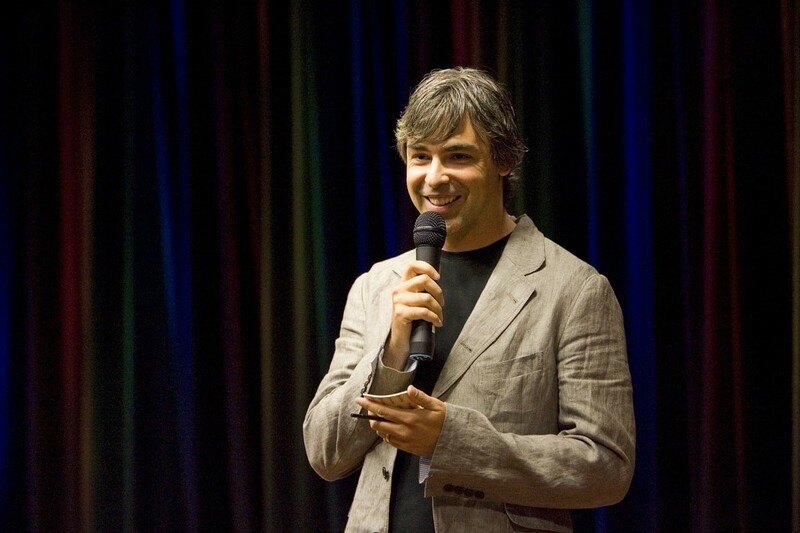 “Larry Page: A very private poster boy.” The Independent. Jan. 22, 2011. Vogelstein, Fred. Dogfight: How Apple And Google Went To War And Started a Revolution Sarah Crichton Books. Nov. 12, 2013. I'd like to thank BI's long-form editor Aaron Gell for spending so much time helping me get this story into shape. It was a doozy! Thanks also to Daniel McMahon and Jill Klausen for saving me from so many typos.